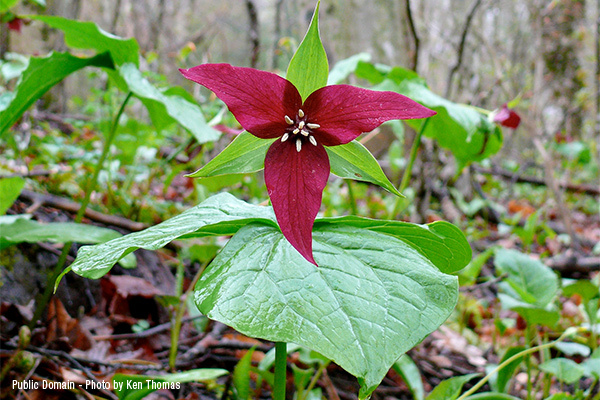 Also known as Stinking Benjamin, the gorgeous Red Trillium (Trillium erectum) is attractive to early season pollinators, and makes a stunning addition to the shade garden. Spring-blooming perennials, especially in the bare root form, are best planted early in the fall. Planting in the fall while the soil is still warm will give the roots enough time establish properly. This allows the plants to emerge from established roots with a stronger start the following spring. The resulting blooms will benefit early season pollinators, as well. Woodland ephemerals bloom, undergo pollination, and produce seed, all during a small window of time between snowmelt and when the trees leaf-out. The spring sunlight warming the woodland floor causes the plants to bloom. At the same time, the warmth stirs pollinating insects into action. The availability of spring flowering natives ensures that early pollinators have the nectar they seek in the critical period when they first emerge to forage. Don’t bother buying mulch at the store, these spring beauties prefer leaves. Woodland ephemerals love the rich humousy soil as created by an accumulation of leaf litter in a forest. The leafy mulch is home to insects that pollinate and help spread their seeds. Seed dispersal is usually fulfilled by ants which carry the seed only a few meters from the plant. Because the dispersal is so local (unlike seeds dispersed by birds or wind), habitat fragmentation is a threat to the survival of spring ephemerals. Once these plants disappear from a forest, they rarely return. 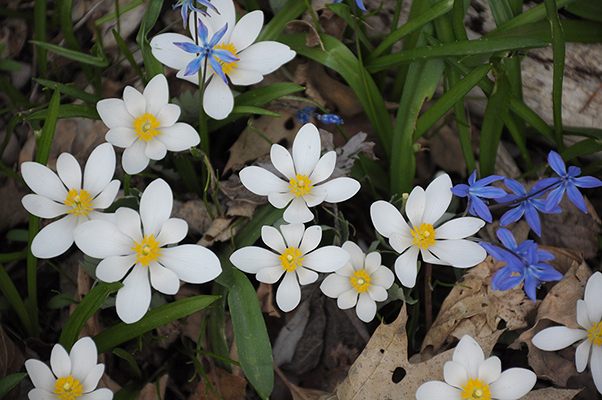 Bloodroot (Sanguinaria canadensis) is one of the earlier woodland ephemerals – blooming in April in the upper midwest. Unlike most ephemerals, the leaves of Bloodroot do Not go dormant – except in very droughty summers. 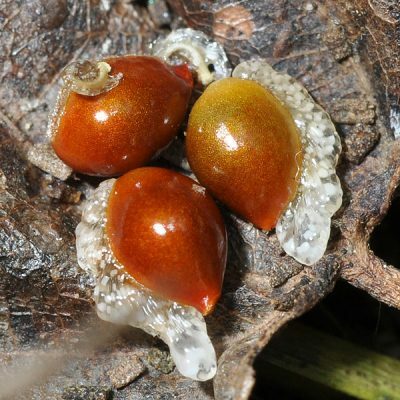 Bloodroot seed, with fleshy elaiosome – the substance that ants eats, which causes them to disperse the seed. 4. Plant them with other, later emerging, plants. The stem and leaves will die-back. In the heat of summer, most spring ephemerals “die-back” and retreat underground into their roots, until next year. 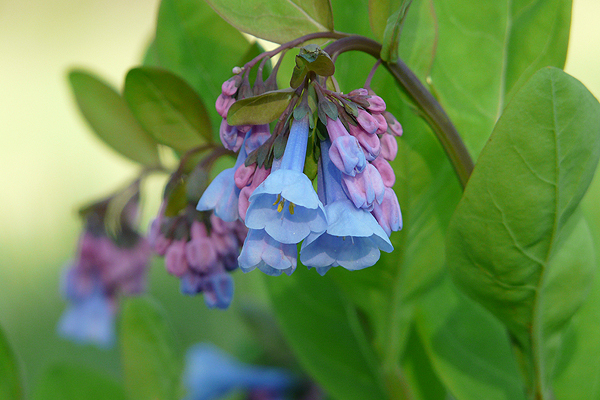 Plant with other later emerging perennials to succeed them when the season heats up. 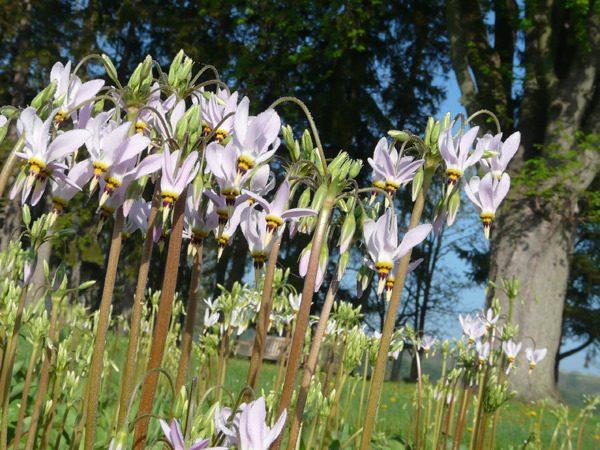 Shootingstar (Dodecatheon meadia) is a prairie ephemeral. Plant it in full-to-partial sun along with other prairie natives. Ephemerals are best planted where they’ll receive at least some early spring sunlight – under trees or in a wooded area is ideal. The shady area between houses is also a good option. Plants which occupy an area that never receives sunlight – such as in the shade against the north side of a building – may emerge and bloom later, due to consistently cooler soils.